Put Some Adventure In Your Life With Adventure Car! You there! Are you feeling bored? Tired? Weary of the daily grind and life's constant stream of little, soul-killing indignities? What you need is more adventure. And according to this craigslist ad, Adventure Car is what you need to make that happen. 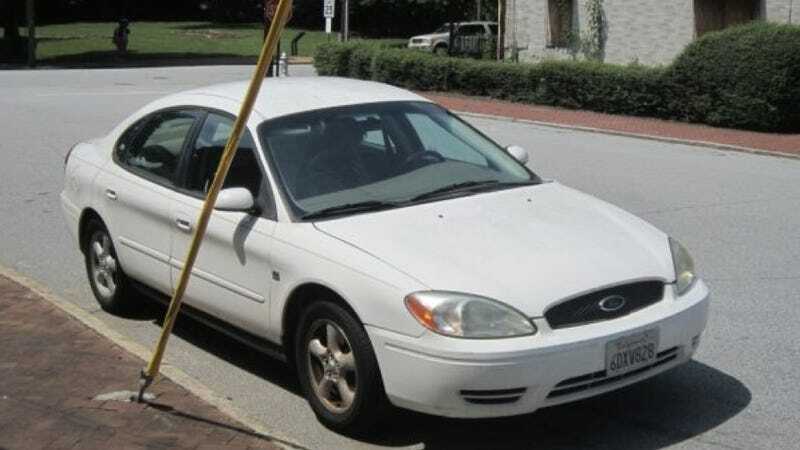 Adventure Car (a 2004 Ford Taurus) has seen plenty of adventure in his 143,000 miles. At least in these photos, the outside looks to be in pretty decent shape. Unfortunately, Adventure Car is currently limited to adventures in the greater Hotlanta area due to some mechanical issues. "For a limited time, Adventure Car is extra adventurous, because he is in need of repair. His ignition coil is unhappy, and he needs new camshaft sensors and spark plugs. You may consider this a problem, but Adventure Car suggests it is an opportunity to engage in either the adventure of Car Repair or the adventure in Driving a Car that Acts Really Jumpy Sometimes. Every block is an adventure when your engine is shaking!" The good news is this seller wants to unload Adventure Car to some lucky adventurer for only about a grand. Not a bad deal for someone seeking thrills, or at least a way to get around on the cheap.